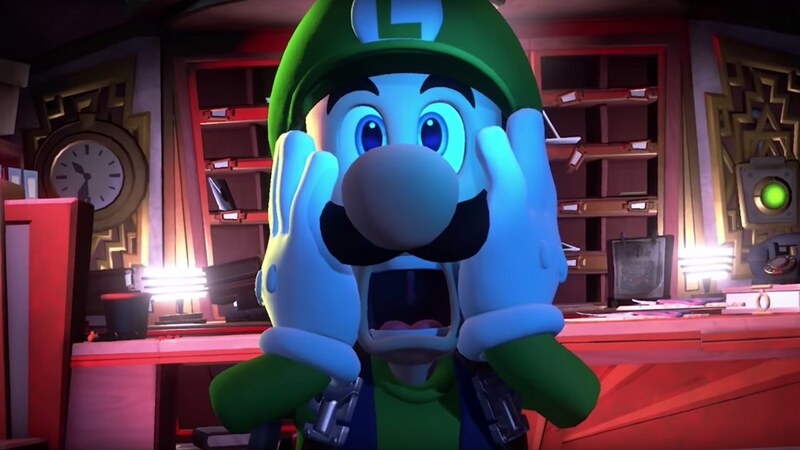 Nintendo has announced that Luigi’s Mansion 3 is in development for Nintendo Switch, the next game in the spooky series revealed to start today’s Nintendo Direct presentation. After sneaking into a new multi-storey mansion, Luigi was seen being – you guessed it – scared by ghosts. He seems to have a brand new Poltergust model on his back, and you can spot a new plunger attack and the Polterpup – who first appeared in Luigi’s Mansion 2 on Nintendo 3DS. Luigi’s Mansion 3 (working title) will release exclusively for Nintendo Switch worldwide in 2019.